Tidbury Green is a small settlement in the south western corner of the Metropolitan Borough of Solihull. 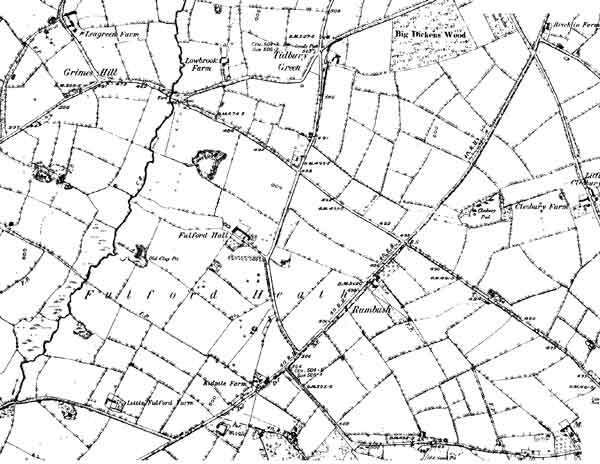 Prior to the 1930’s Tidbury Green was a rural area comprising a number of farms centred on crossroads that provided passage to south Birmingham, Earslwood and Grimes Hill from south Warwickshire. In the 1930’s major development took place and much of the housing in Fulford Hall Road, Tilehouse Lane, Lowbrook Lane and Norton Lane was built. This development continued spasmodically to the 1990’s through infilling along Norton Lane and Fulford Hall Road. Since that date development has been very limited as Solihull Council policy sought to protect the rural nature of the area. Government policy in late 1990’s encouraged the use of existing sites for development which has made Tidbury Green a target for developers due to the relatively large plot sizes on which dwellings stand. Tidbury Green is characterised by detached houses, semi-detached houses and bungalows that are set back from the roadway and interspersed with many oak trees. 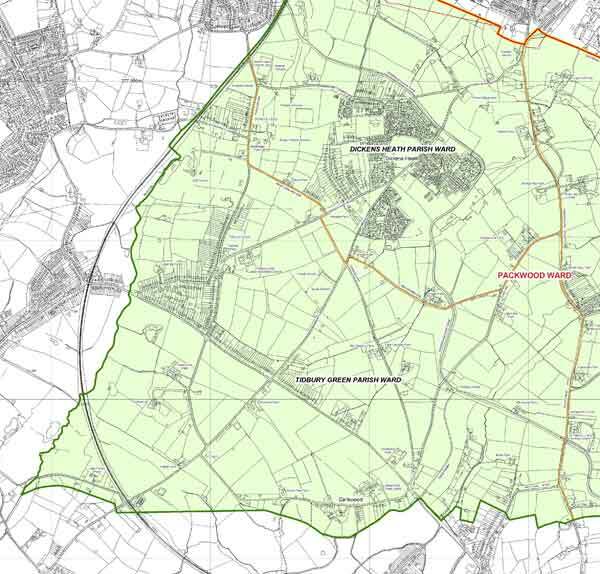 It is a mature area but one whose isolation is threatened by the development at Dickens Heath and the close proximity to Grime’s Hill. With the building of the M42 coupled with the general growth in traffic the area has become something of a ‘rat run’ for vehicles wanting to access Solihull and the south side of Birmingham. Tidbury is the highest part of the Borough reaching 505ft (154 metres) which is why snow seems to last longer here. Those of you who have bent your spades and garden forks digging in the garden can blame the last Ice Age which finished a mere 10,000 years ago. A huge ice sheet centred over North Wales deposited a thick layer of boulder clay over Tidbury Green. Boulder clay as the name suggests is a mixture of stones, boulders and clay. If you keep on digging you will eventually come to Keuper Marl now known as Mercia mudstone, which is the main underlying rock. Tidbury Green seems to have taken its name from Stephen Tyberes or Tybray, who, in the reign of Edward III, gave “a piece of land in `the Market Town of Solyhull, with a building thereon’ for the use of the inhabitants of Solyhull.” Quite what they did with the land and building remains a mystery. It is difficult to make out the detail on the following two maps but the older black and white map clearly shows a very rural area with few buildings. In comparison, the modern map below shows much more mixed landscape with areas of quite dense housing separated by large areas of green fields.